The Wellbeing of Future Generations Act provides the encouragement, permission and obligation to make the changes needed and drastically improve the economic, physical and mental wellbeing of current and future generations through the creation of a healthier, more prosperous, more cohesive and more resilient society. A fundamental feature of the WBFG Act was to create the role of the Future Generations Commissioner for Wales. Since taking up this role, Sophie Howe has shown that she is determined to support a move away from the tick box approach to duties and responsibilities and towards a real integrated long term approach to delivering services that supports people now and into the future through a radical and collaborative approach to service delivery. To this end a strategic plan 2017 - 2023 has been formed and consists of a series of themes and principles, one of which centres around the importance of embedding and designing in physical literacy and activity across all demographics and age ranges irrespective of social circumstance and privilege. How can we become healthier for longer? What skills, training and support do our communities need to thrive? What do the WBFG 5 ways of working mean for daily delivery? What are the economic opportunities of a more skilled and physically active Wales? Transforming a nation to create the outcomes in the diagram below is an immense challenge both conceptually and practically. Our critically timed conference seeks to ensure that all delegates and stakeholders involved have access to the required knowledge, insight and evidence based solutions to both create and deliver upon the broad ranging ambitions set out in the Act. At the core is the fundamental objective to get more people actively involved in physical recreation which will in turn contribute to most if not all of the goals set out above by improving health and wellbeing and acting as an economic driver in relation to both growth and skills. The landscape in Wales differs considerably from England. The demographic is older and the underlying levels of chronic ill health are greater than that of the rest of the United Kingdom. A population that is set to increase to 3.5 million by 2050 with the proportion of people over the age of 75 almost doubling, will place an almost unsustainable strain on health and social services. It has long been understood that preventative measures such as physical activity can help reduce the instances of many long term conditions by over 30% and release an estimated £750m worth of resource for the NHS to use as it faces these important and economic social challenges. Wales is a proud nation with strong social and community cohesion, a passionate workforce and a desire to create a sporting legacy that builds on its success on the international stage. However the level of currently inactive people paints a very scary picture for both current and future generations. The WBFG has been hailed as a global leader and is being closely monitored internationally as Wales seeks to do today what the world will need to do tomorrow. Positive solutions to long held intractable problems is the philosophy and this conference seeks to make sure the rhetoric transfers into the reality. 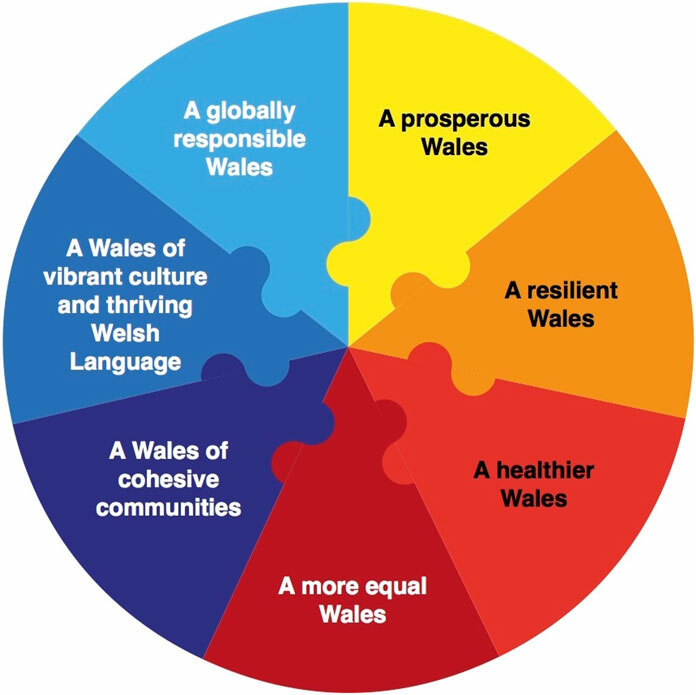 The Getting Wales Moving Conference - 'Delivering on the Well Being Future Generations Act' will critically examine the progress that has been made to date whilst asking the pertinent questions as to how we can really work together to deliver the aspirations that we all have for our future generations. This conference is a must attend for anyone who is working towards the delivery of WBFG goals. Whether this is in the fields of health improvement, well being, sport and physical activity, community cohesion, skills and training or business development - this is the conference for you.